Rest assured, Dr. Szczepanski has the most advanced training and Board Certification available by the American Board of Podiatric Surgery (www.abps.org). He is Double Board Certified in Foot Surgery and Reconstructive Rear Foot/Ankle Surgery (Recently Recertified) and is a fellow of the American College of Foot & Ankle Surgeons. "Our society's current emphasis on fitness and exercise makes my work that much more important", states Dr. Szczepanski. He has a keen desire to further enhance and teach young doctors during their training. "The thirst for knowledge and keeping up to date on cutting edge technology and research is the hallmark of all great doctors which I have met during my training", states Dr. Szczepanski. Dr. Jeff Szczepanski grew up in Shelby Township, Michigan, graduating from Utica Eisenhower High School. He attended St. Mary’s College (now Madonna College) in Orchard Lake, MI where he competed on their nationally ranked collegiate basketball team. He received the Senator Bill Bradley Academic All American Award while as a student-athlete. He is still involved in basketball with coaching locally in Traverse City, MI. Dr. Szczepanski went on to receive his Bachelor of Science degree in Chemistry (graduating with honors) from Spring Arbor University in Spring Arbor, MI. He received his Doctor of Podiatric Medicine (DPM) degree from the Ohio College of Podiatric Medicine in Cleveland, Ohio. He completed an extensive three year hospital-based surgical residency program at Forum Health System in Youngstown, Ohio. Under the direction of Lawrence DiDomenico, DPM ; Dr. Szczepanski's training has included the conservative and surgical management of a wide variety of foot and ankle ailments, which included trauma and reconstructive surgery, sports medicine, diabetic care and routine foot and ankle pathology/ surgery. He enjoys lecturing nationally to other physicians on foot and ankle reconstructive surgery techniques. He has published several peer reviewed research articles related to foot and ankle reconstructive surgery. He has received the highest possible level of Board Certification by the American Board of Podiatric Surgery. His certifications include Foot Surgery and Reconstructive Rearfoot and Ankle Surgery. These certifications require extensive documentation of his successful surgical cases and rigorous oral exams by the nation's top doctors. Dr. Szczepanski is also a Fellow of the American College of Foot and Ankle Surgeons (FACFAS) and a member of MPMA, the Michigan Podiatric Medical Association. Dr. Szczepanski is the founder and physician at Great Lakes Foot and Ankle Specialists. Prior to creating this practice in Traverse City, he practiced in Southeast Michigan. There, he was previously on staff at Royal Oak Beaumont Hospital, Providence Hospital, St Joseph Mercy Oakland, DMC (Detroit Medical Center) and Botsford Hospital. He currently practices exclusively at Munson Medical Center and Northwest Michigan Surgery Center in Traverse City. 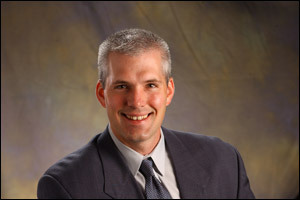 He is currently the Section Chief at Munson Medical Center for the Podiatry/ Foot & Ankle Section. This is an elected position by his colleagues, holding the position since 2010. Dr. Szczepanski is married to his wonderful wife, Rebecca. He is blessed to be the proud father of 4 children; three daughters and a son. His family occupies most of his time away from the office, as he loves being a father. He enjoys basketball, exercising, mountain biking, fly fishing, power boating and traveling in his free time. Traverse City was once a favorite vacation spot, but now he is proud to call Traverse City home.